Myer has promoted its head of digital and data, Mark Cripsey, to chief operating officer as part of a restructure of the business that also sees staff slashed across supporting operations. 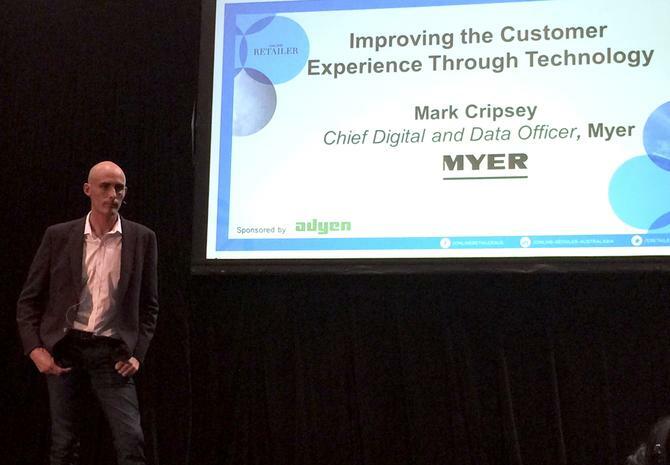 Cripsey joined the ASX-listed department store in 2015 as chief digital and data officer after a two-year stint at Coles as GM of customer and multi-channel IT. As COO, he will now oversee the Myer store network, online business as well as marketing and Myer one, including data analytics. The appointment comes six months after Myer’s former deputy CEO, chief merchandise and customer officer, Daniel Bracken, left the organisation and two years into a transformation plan to try and turn around the embattled department store in the modern, omni-channel age. Cripsey reports directly into Myer CEO, Richard Umbers. In a statement, Umbers said the newly created role reflected the importance of digital and data across the whole organisation, as well as the need to integrate physical and online offers. “Under Mark’s leadership, Myer will be better placed to anticipate and respond to the structural shifts occurring in retail and capitalise on the opportunities that exist in improving the use of our customer data,” he said. At the same time, however, Umbers confirmed further changes were being made to consolidating supporting operations that sees a “number of team members” leaving Myer. As a result, he said more than 40 per cent of total support office space had been vacated since September 2015. “Recent trading conditions have been tough, in part as a result of reduced traffic to physical stories,” Umbers continued. “In spite of this, we have continued to make good progress on our transformation agenda, improving range and service to our customers, building a high-growth, omni-channel business and improving productivity and efficiency. Myers also announced that its current CFO, Grant Devonport, is stepping down at the end of January after two-and-a-half years, and being replaced by Nigel Chadwick. Umbers highlighted Chadwick’s experience working with Spotless, BHP and Telstra and in sectors facing disruption as key reasons for his appointment. In its most recent annual report for the year to 29 July 2017, Myer reported a 1.4 per cent drop in sales to $3.2 billion, a decrease of 0.2 per cent on a comparable store basis. NPAT dropped 2.2 per cent year-on-year from $69.4 million to $67.9 million, while end net profits came in at just $11.9 million, a drop of 80 per cent. The bright spark was the omni-channel business and online store, which reported a 41.1 per cent increase in sales over the past 12 months. This saw omni-channel reach $177 million in revenue over the 2017 financial year, representing 8.2 per cent of total sales in July.